I’ve always had an affinity for hardcover books. Their covers are almost always prettier and more intricate than those of the paperbacks and there’s just this wonderful feeling I get whenever I arrange my hardcovers on my shelf. Admittedly my liking for hardcovers are purely aesthetic and I know that what really matters is the words and stories in between those covers. Most of the time I opt for the paperbacks because it fits my budget and current my shelf space. But sometimes, I indulge myself and I go for the lovely hardback. The problem I have with hardback books is that it’s too heavy to lug around in my bag. It takes up too much space and my bag is already full as it is so I never try to bring them as my everyday reading material. But for Neil Gaiman, I am totally prepared to make an exception. Norse Mythology is Neil Gaiman latest work which is inspired by his longtime fascination with ancient mythology. 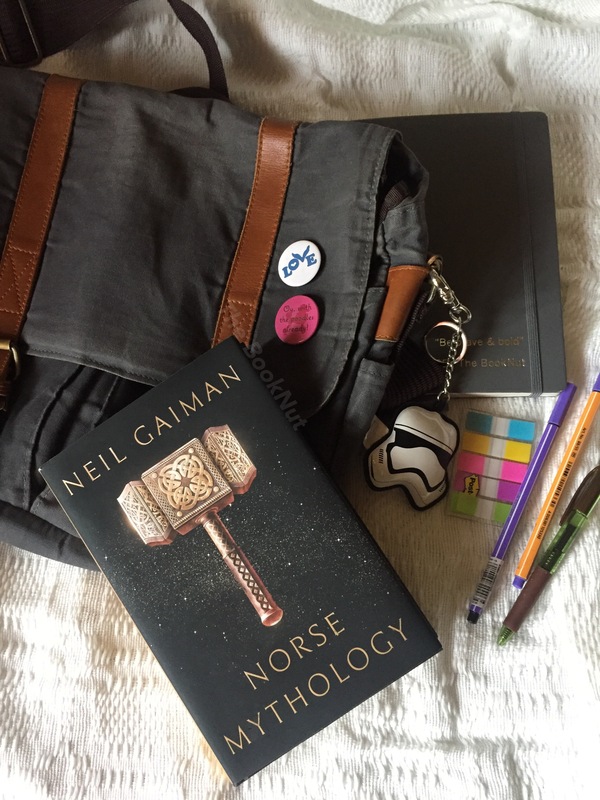 In this book, Gaiman writes about the famed Norse gods and goddesses with his own little spin. His imaginative mind wields stories of the genesis of the nine worlds, the various exploits, and adventures of the gods which brings them ultimately to Ragnarök. I love how Gaiman introduces his stories, he always gives you a piece of his mind. What were his thoughts when he came with the idea for the book that you’re currently holding. The people who inspired him, the writers and artists who were involved while writing the book. And even the funniest little pieces of information that goes into the creation of such work. I’m currently halfway through reading it and I’m just excited to see how this all culminates in Ragnarök. As always I’m ecstatic to tell you about what I think of it, I just hope to find the time and the right words to describe how I like the book.